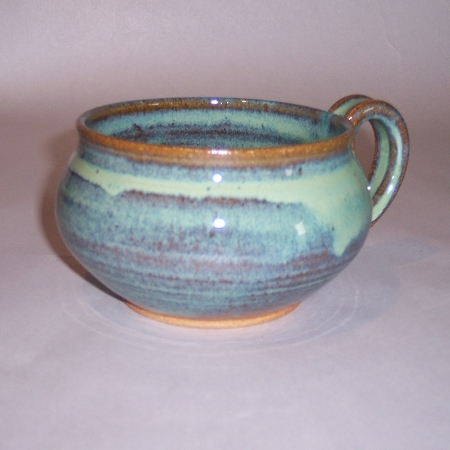 These hand thrown stoneware soup or chowder bowls hold about 14-16 ounces of liquid. 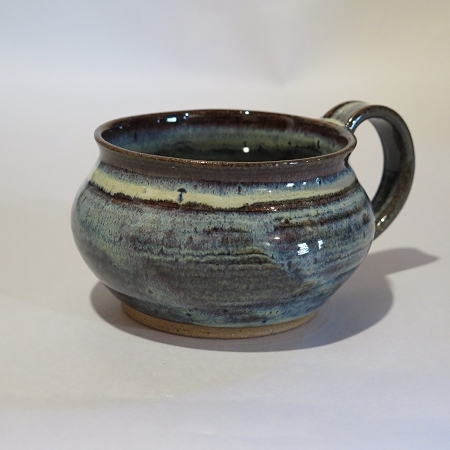 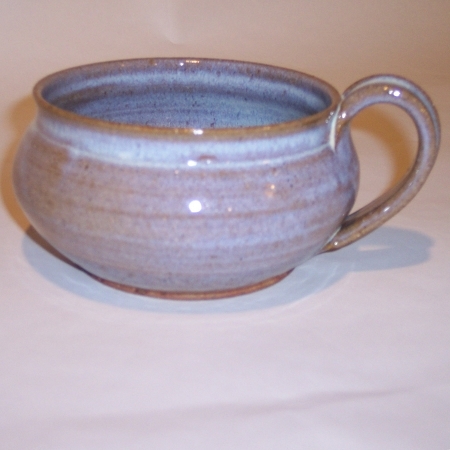 The handles are comfortable but also prevent you from discomfort when holding hot soup. 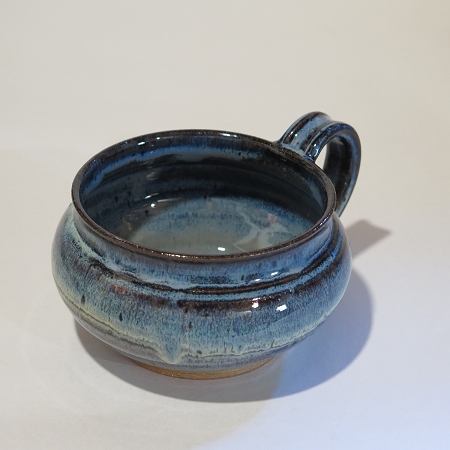 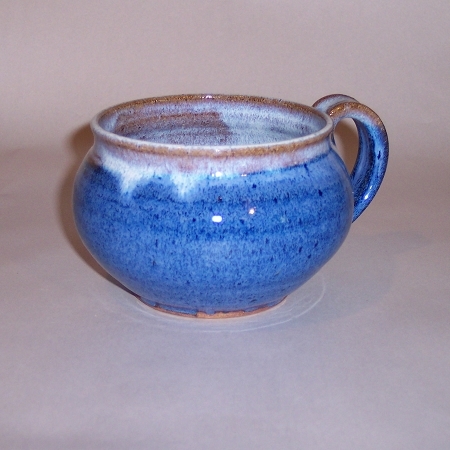 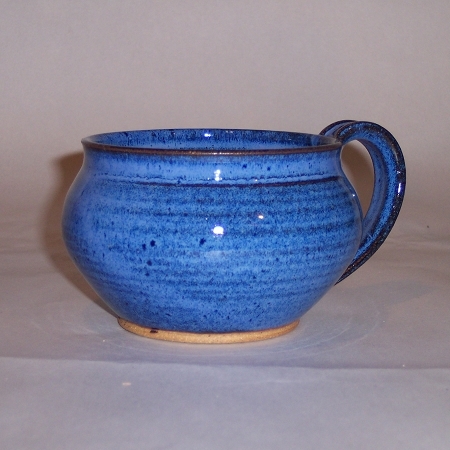 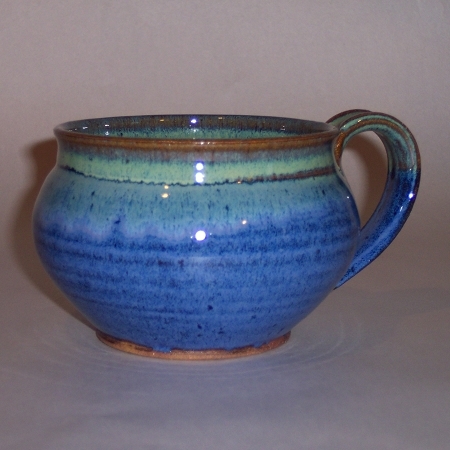 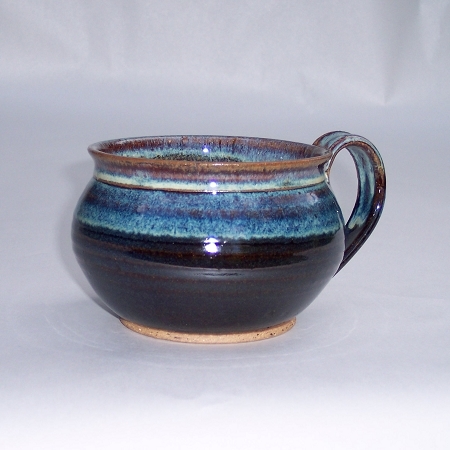 All of these handmade pottery soup or chowder bowls are individually wheel thrown. 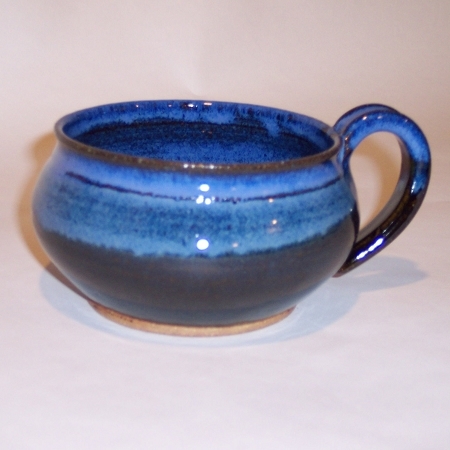 Therefore the soup or chowder bowls that you receive will not be exactly like the one you see.